Even though I work my program and share the hope and the good news that through the power of the Atonement we can receive all that we need from the Lord to be cleansed and draw near to Him, I sometimes find myself dwelling on my shortcomings rather than my progress. It seems especially difficult to let go of past mistakes and forgive myself despite having a sure testimony that the Lord has forgiven me. So what are the implications of the Lord’s promise in Jeremiah 31:34 that He “will remember their sin no more”? I imagine myself standing at the judgment bar with the Lord standing by my side as my Advocate. The movie of my life is playing. Scene after scene plays out on the screen. Some scenes surprise me – I had forgotten all about those things. Sometimes I know what is coming next, and the thought of having to watch it in front of everyone makes me cringe. Wait! What? We jumped right over that scene! Hooray! What happened? That scene was left on the cutting room floor. Why? Because once I had repented and the Lord had forgiven me, he “remembers it no more”. That is forgiveness! If he doesn’t remember it, it cannot be a part of the movie of my life! 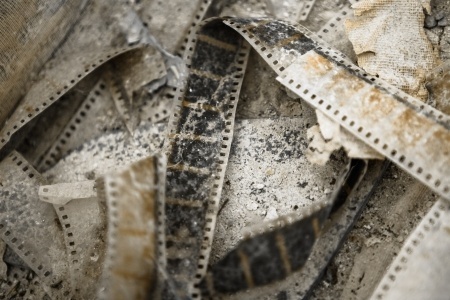 My movie has been edited and all the bad parts for which I have repented – all the parts that fill me with shame and guilt – have been removed. I may remember them, in order to protect myself from making the same mistakes again, but the Lord has forgiven and forgotten. Divine forgiveness – good news indeed! What part of your life do you hope will be a scene left on the cutting room floor? Have you done all you can to fully repent of it? What do you still need to do? You may remember, to keep yourself from making the same mistake again, but have you forgiven yourself? What will you do today to forgive yourself and move on?